Sail in Asia IYT Yacht Training School run high quality, professional and recreational yacht training and sailing holiday courses in Phuket Thailand. The IYT Yacht Training certificates we award are among the most widely accepted yachting and boating certificates in the world. 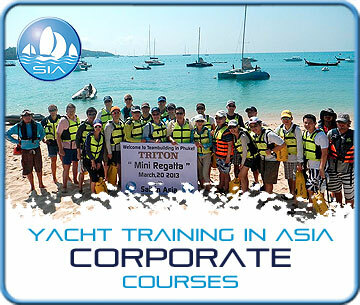 Sail in Asia IYT Yacht Training School run high quality, professional and recreational yacht training and sailing holiday courses in Phuket Thailand. Check out the image category that interests you. IYT is worldwide approved certification. 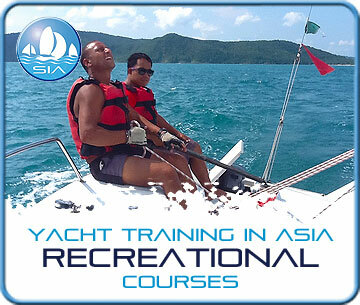 SIA’s shortest course, is simply called ‘Learn to Sail’, and is aimed at absolute beginners. Our most popular course, the Zero to Hero course, will lead you quickly and safely to the IYT Bareboat Skipper certificate level. This certificate is demanded by many companies for yacht rental. The IYT Bareboat Skipper certificate also qualifies you for the International Certificate of Competence (ICC), a certification required by many European charter companies. Many of our customers choose us because we teach courses to a very high standard in a market place, where all too often, the opposite is true. 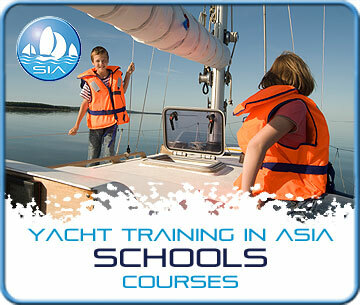 Sail in Asia IYT Yacht Training School has more 10 yachts available for students to enjoy and train on. The yachts are used for regattas, schools and for corporate events. The Sail in Asia Sailing Club is open to all the students that pass through our Zero To Hero courses. Members have full access to our yachts throughout the year. 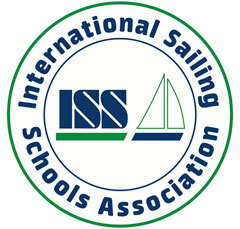 Our yacht training courses progress right through to the IYT Yachtmaster Offshore. This is a course for seriously experienced sailors only! For example this is the level you might expect an aspiring first / second officer on a superyacht to have. To find out more about IYT certifications and training visit their website HERE. 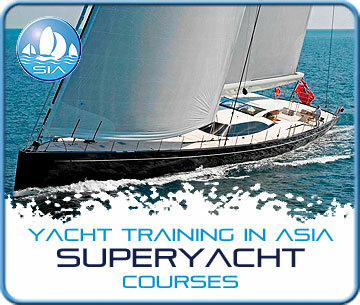 SIA’s shortest course, is simply called ‘Learn to Sail’, and is aimed at absolute beginners. Our most popular course, the Zero to Hero course, will lead you quickly and safely to the IYT Bareboat Skipper certificate level. The Zero to Hero 'Classic', is our most popular course and is run twice, a month, on 1-14th or 15-28th. It is also the Foundation Course for Yachtmaster Coastal and Yachtmaster Offshore. We provide you with the necessary theoretical and practical training to run a yacht in fair weather, daylight conditions, in local waters. The Zero to Hero course is a 14 day course that also includes, VHF radio and a GMDSS review. Check out the video below. When you complete the Zero to Hero Classic Course you are Bareboat Skipper Certified and you can then apply for your International Certificate of Competence. If you are an expatriate you will be able to get SIA to provide this valuable certification for you. The ICC is the ‘licence required’ for Europe and is what most charter companies expect you to have to be able to rent a yacht. The Sail in Asia Sail Training fleet of 10 vessels includes 6 identical sports boats (Platus), 2 Farr 11 metre cruiser racers, a Corsair 28 trimaran and a 6m RIB powerboat. Courses for every conceivable craft can be considered by us. The yachts are well maintained, with new engines excellent sails and are ideal for the tropical sailing conditions of SE Asia. If you have completed your Bareboat Skipper Certification and have 400-800 miles of experience then you are ready to become a Yacht Master Coastal Skipper. This course is also a theory and practical course and enables you to do night sailing and make longer distance passages, day and night. It’s a 7 day course, if you have completed the Zero to Hero Foundation Course with Sail in Asia. Its 14 days if you have not done the Zero to Hero foundation course with SIA. If you have taken a Bareboat Skipper course with another school, or done the course in the past, we strongly recommend you take the 14 day course. What makes us different to other schools? 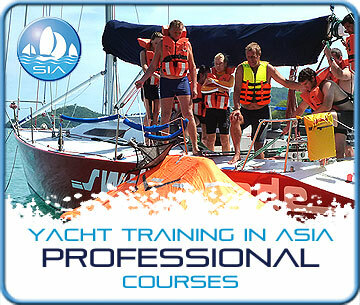 We are the only IYT Yacht Training School in Asia that offers Instructor Training and Internships. Our instructors are not only well trained and experienced, but are also great fun – they’ll make any course enjoyable, as well as educational. Our tropical locations are among the most beautiful places on the planet and our bases are well equipped and staffed. We constantly update our training methods and materials to ensure our courses are state-of-the-art as well as fun. We teach theory and practical together on our courses. Some other training organisations split the two and teach them separately. We believe that mixing theory and practical in the same course achieves a better educational outcome. We are confident that you will agree. Customer feedback shows that our previous customers certainly do. Our chief instructor has over 30 years sail training experience and is both RYA qualified and IY qualified He will happily advise you on what course you might like to take. 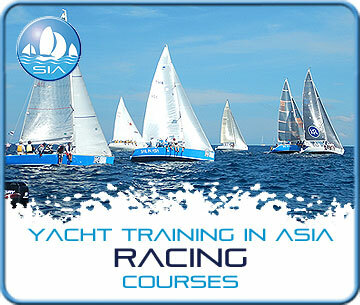 Sail in Asia is unique in Asia, as a trainer of IYT Instructors. This is through our innovative, internship programme which is admired by many other schools. Our internships are highly regarded and valued as a career entry point, for people interested in becoming professional, yachtsmen and women. Our instructor training internship has been running now for almost five years and has been a huge success with almost 100% success. Our ex students are now running training bases, working on Superyachts all over the world and filling positions at Sail in Asia. This is our most popular course and is run twice a month, on 1-14th and 15-28th. It is the Foundation Course for Yachtmaster Coastal and Yachtmaster Offshore. The Sail in Asia Sail Training fleet of 10 vessels includes 6 identical sports boats (Platus), 2 Farr 11 metre cruiser racers, a Corsair 28 trimaran and a 6m RIB powerboat.